Please click on any of the thumbnail images to see a larger view. 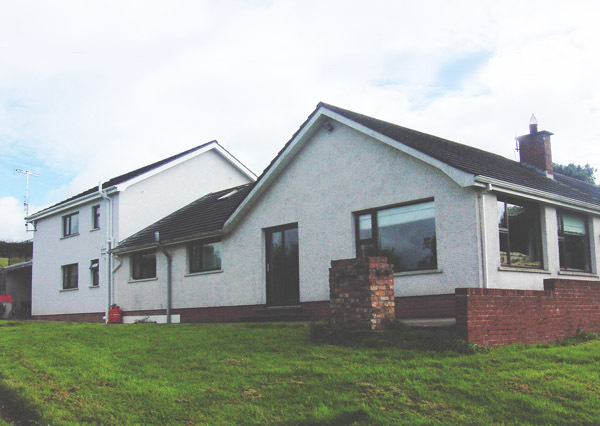 Our lodge has four rooms, all with tea and coffee making facilities. Rooms 1 and 2 are Bed and Breakfast use only. 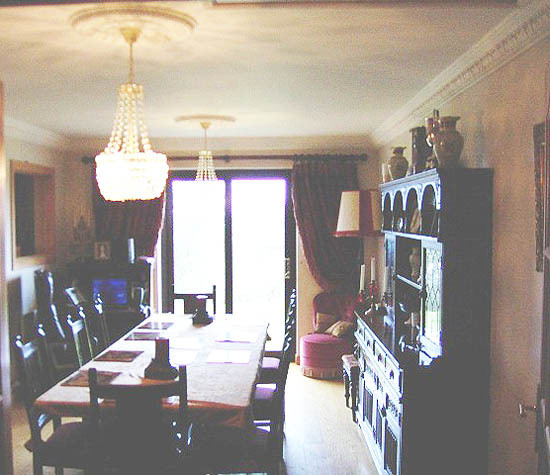 Rooms 3 and 4 can be B&B or used as self contained accommodation. Please see each room tab on the menu above for full details including price and availability. A child cot can be provided at no extra cost on request and we also include free use of broadband and WIFI included in our rates. 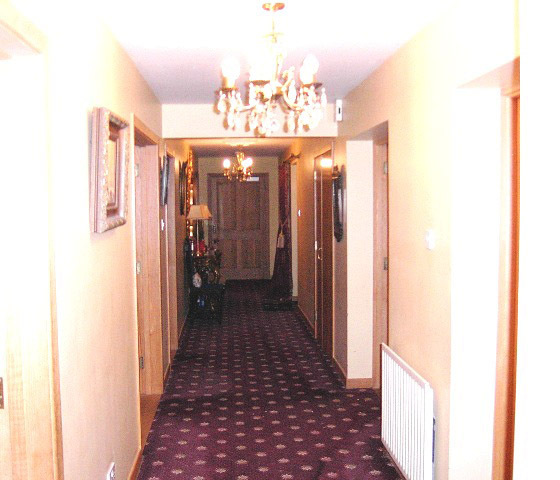 We have ramp access to all ground floor rooms, BBQ area and surrounding gardens. Our delicious full breakfasts are served from the lodge kitchen and guests are invited to breakfast in the dining room which leads through French double doors to the gardens. Our guest lounge is luxuriously finished in a decor fit for kings and queens, which you will be as our special guests! 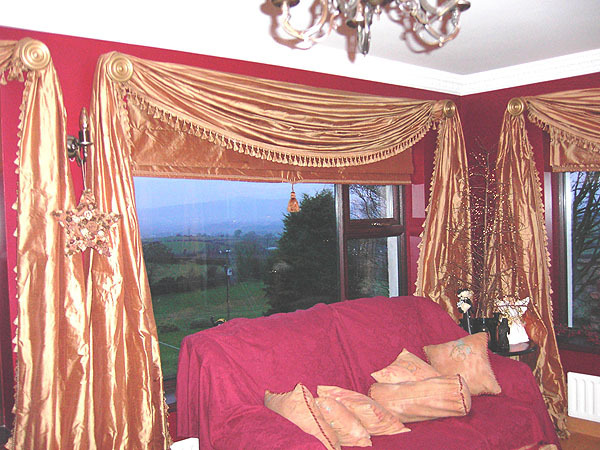 The lounge allows a beautiful panoramic view over the hillsides and valley with full east and west large windows. 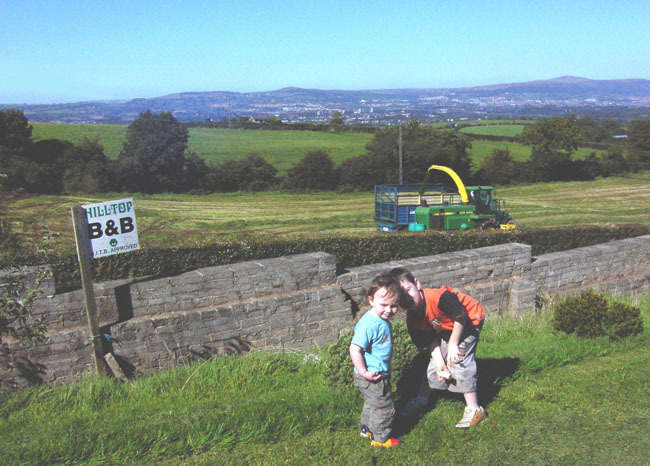 You will find us 3.5 miles from Lisburn City, on the hills where Down meets Antrim. 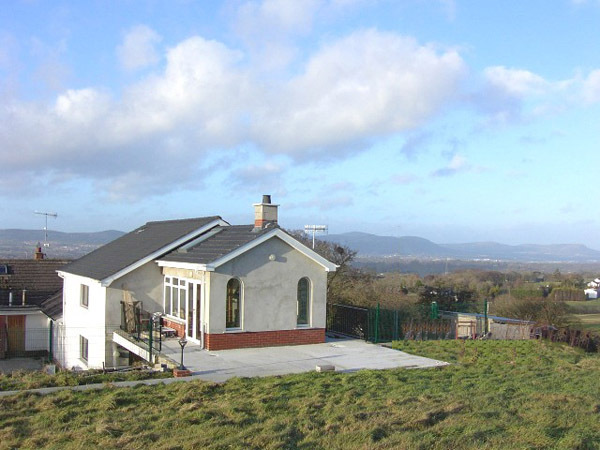 We overlook the landscape of Belfast's Lagan Valley and Belfast City is just 8.5 miles away. There are many hillside walks, duns and forests to explore within an easy distance. Tullyard (our location) was once a fortified Celtic town and the surrounding area has much ancient history including the nearby Giants Ring and one of Ireland's oldest churches believed to have been founded by St Patrick. 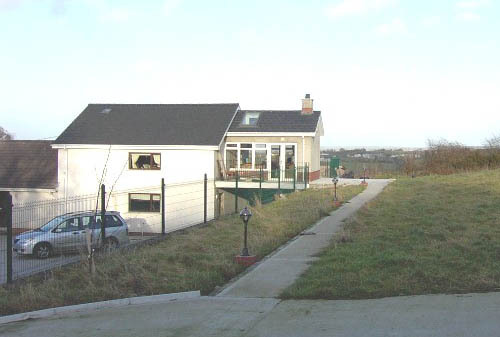 Drumbo village is a small townland with ancient roots. The name is taken from 'ridge of the oxen' relating to its hill top location. It has the only remaining round tower (Drumbo Tower) in Ireland, which is believed to have been used to warn of invading vikings! 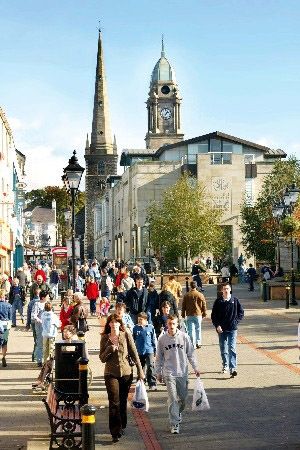 Both Lisburn and Belfast cities boast markets, museums, bars, night life, restaurants and outstanding natural beauty. 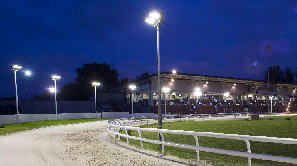 The Drumbo Park Greyhound Stadium is located in nearby Lambeg for an exciting day at the races! 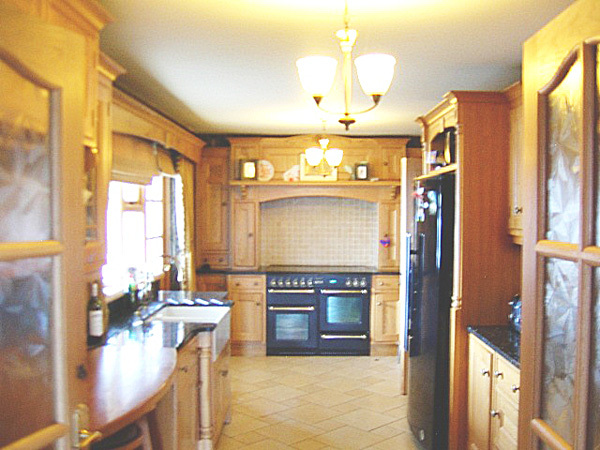 Lisburn is a relatively new city with a large shopping centre and great restaurants. 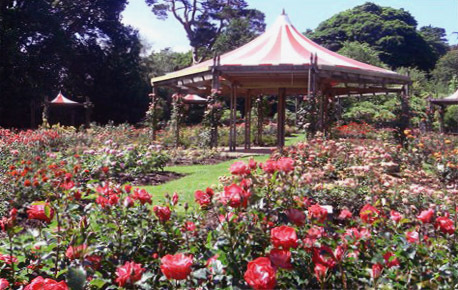 It is best known for its outdoor attractions and heritage sites. Please check out the Visit Lisburn website to see upcoming events and reviews. 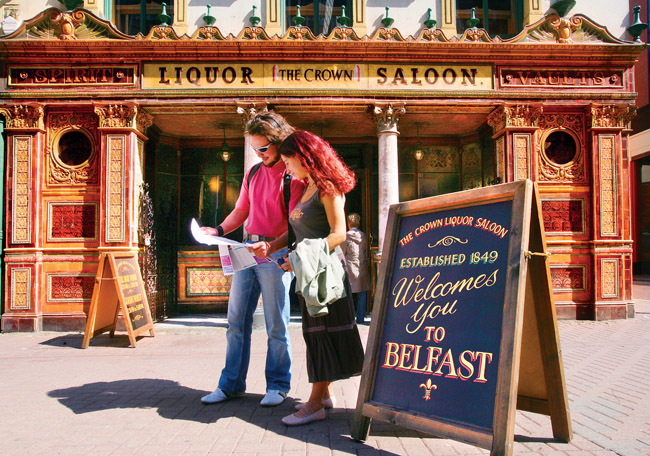 Belfast city has a large pedestrian shopping centre with top brand names, fine foods and weekly markets. It has museums, theatres, an opera house, night clubs, cathedrals and orchestra as well as several world renowned music scenes. There are always festivals, events and attractions going on. 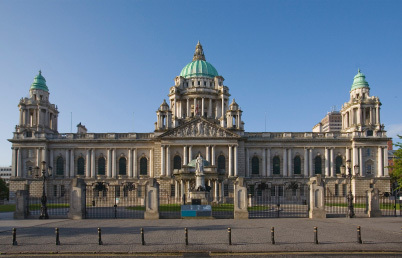 We recommend visiting the Go To Belfast website to see upcoming listings or Discover Northern Ireland to see more attractions across the province. If you prefer a more relaxed stay, we are perfectly situated within an easy distance of many country parks, fishing lakes and forest trails including Lady Dixon Park which boasts a fantastic week long Rose Week festival each July and the Hillsborough Forest and Lake walk. 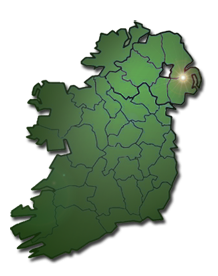 The websites above list more about our heritage sites and historical or cultural upcoming events.